YMCA Perth is an official campus of the Australian YMCA Institute of Education and Training. We provide a range of nationally accredited and non-accredited training programs. Our two key areas are Child Care and Fitness Instruction. The advantage of YMCA Perth Training is that we operate in the industries in which we train. Therefore our expert instructors possess an extensive and relevant understanding of their industries. This unique model delivers course content of a far superior quality. Our approach to the student is equally unique. We focus on the individual, tailoring each program to meet their specific needs. A number of our programs can be completed online, providing convenient and accessible alternatives to our students. 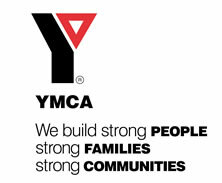 YMCA Perth also offers a versatile range of customised training, delivered on a consultancy basis. We can tailor courses that cover a combination of areas such as fitness, information technology, children’s services and customer service. When you train with YMCA Perth, you're working toward a better You.